The MGB is a sports car launched by MG Cars in May 1962 to replace the MAG and manufactured until 22 October 1980 – originally by the British Motor Corporation and later by British Leyland Motor Corporation. There were around a half million MG’s produced, and about a third of them still exist today sitting in their owners garages and driveways. 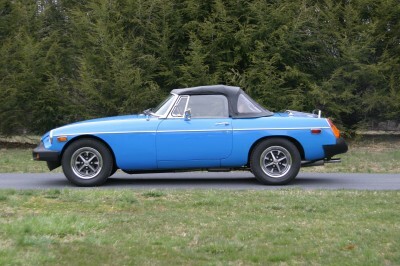 The MGB delivered exceptional performance, handling, and fuel economy for its day. With over a half-of-a-million examples produced, it is one of the most popular and successful sports cars of all time. This MGB looks and Runs Great. Stop out to see it today!